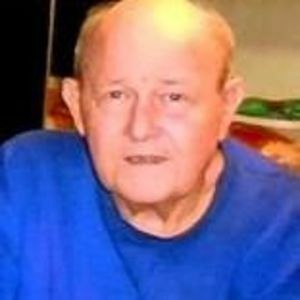 Charles Darrel Turner, 73, of Staley died peacefully at his home on Monday, November 20, 2017. He was born on June 13, 1944 in Chatham County to James Ralph "J.R." Turner and Mary Beatrice "Bea" Kivett Turner. Mr. Turner was a graduate of Liberty School. He enlisted in the US Navy in June 1962 and served through June 1965 as a boiler operator. He received his private pilot license in 1976. Darrel was the owner and operator of A-1 Appliance Repair for over 40 years, serving mostly Randolph and Guilford Counties. We would like to thank the staff at Carolina Dialysis in Siler City for their patience and special care shown to Darrel. He will be missed by many whom loved him dearly. A private service will be held at a later date. In lieu of flowers, please consider a memorial contribution to Randolph County Honor Guard, PO Box 1672, Asheboro, NC 27204 or Mt. Pleasant Baptist Church, Building Fund, PO Box 1588, Liberty, NC 27298. Loflin Funeral Home of Liberty is honored to serve Darrel's family.